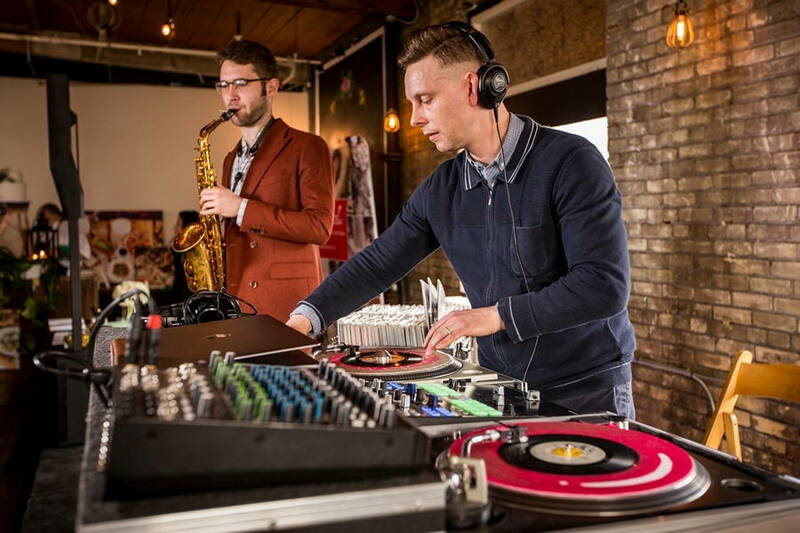 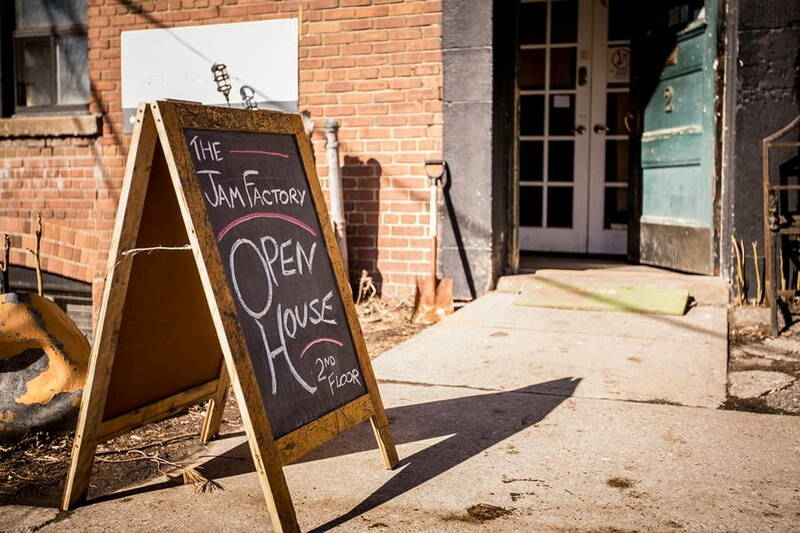 Hidden in plain sight and nestled in the trendy Riverside neighbourhood, The Jam Factory celebrated its first-ever open house this past weekend. 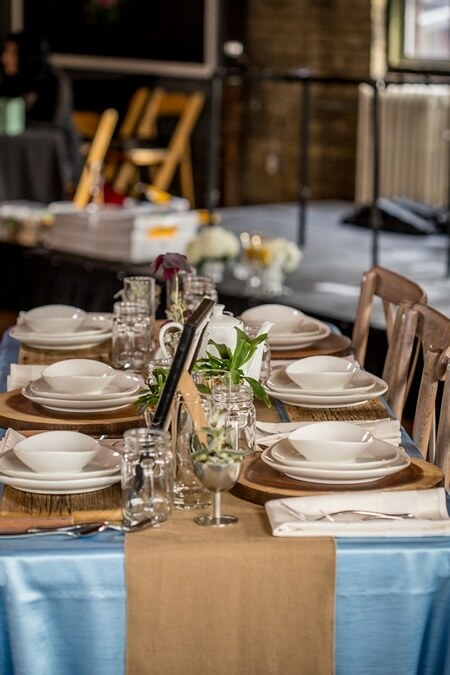 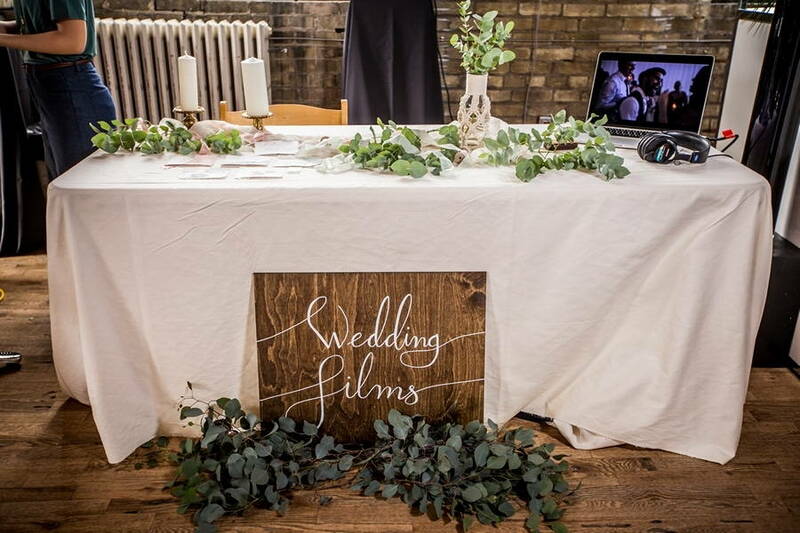 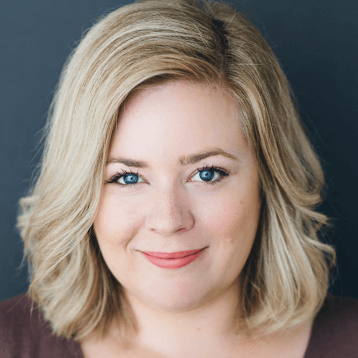 Filled to the brim with character and in-demand rustic features, the historic venue featured oodles exposed brick walls and charming wooden beams. 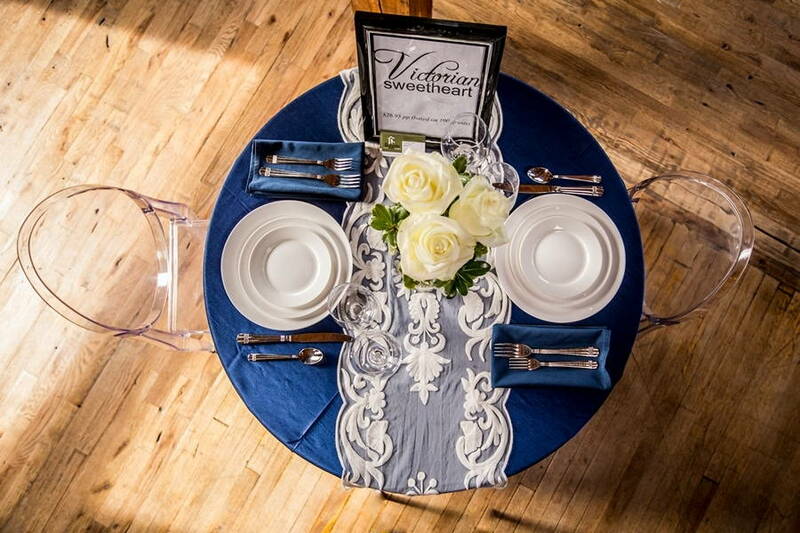 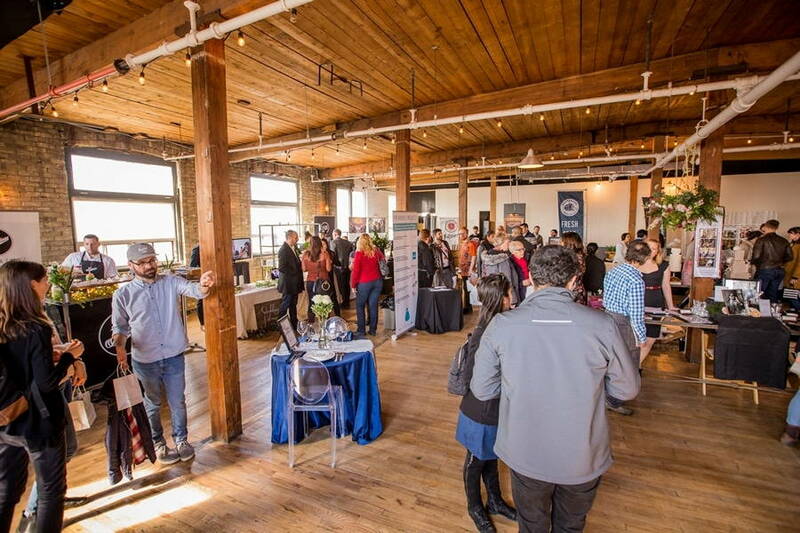 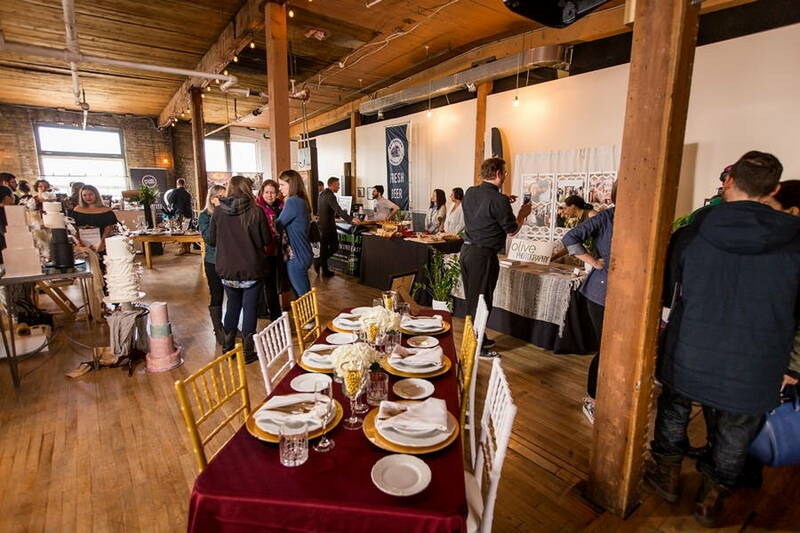 The 150 year old space was recently revitalized and has quickly risen to become one of the city’s most desirable wedding and special event spaces. 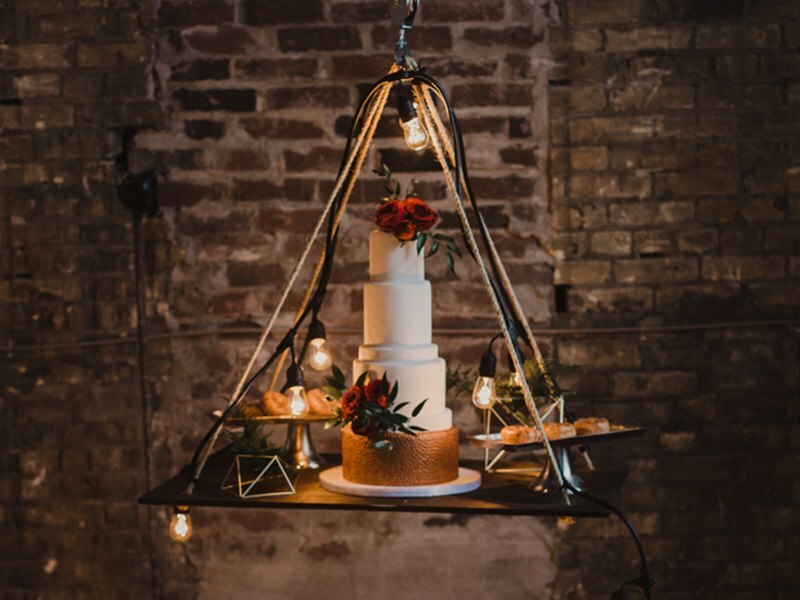 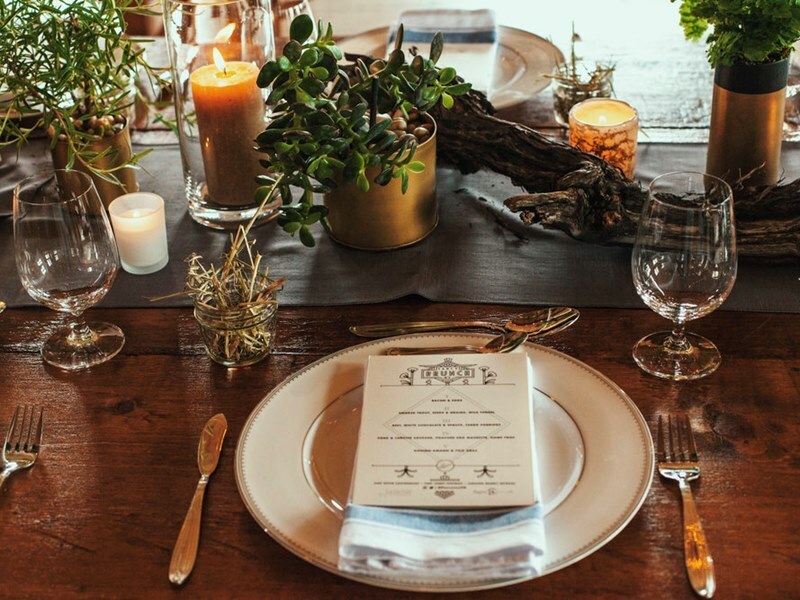 This venue checks all the boxes for couples in search for an intimate, unique, and non-traditional event space. 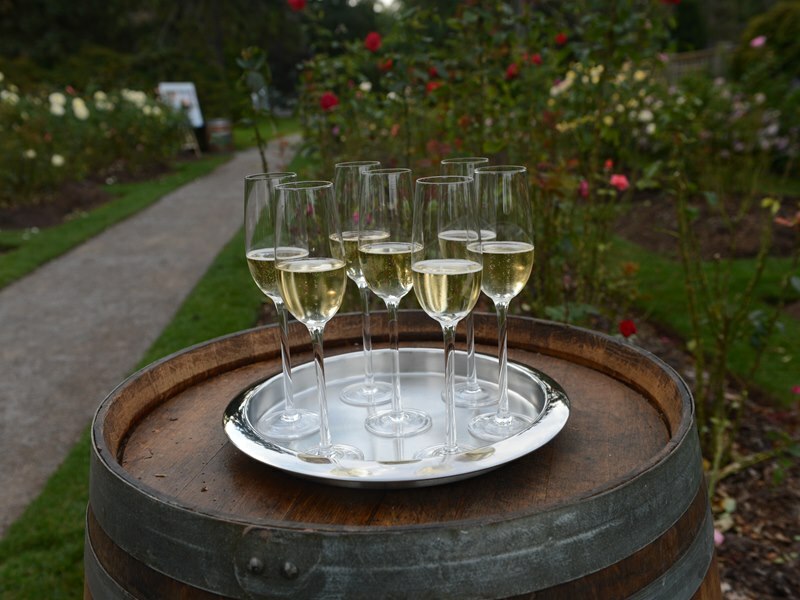 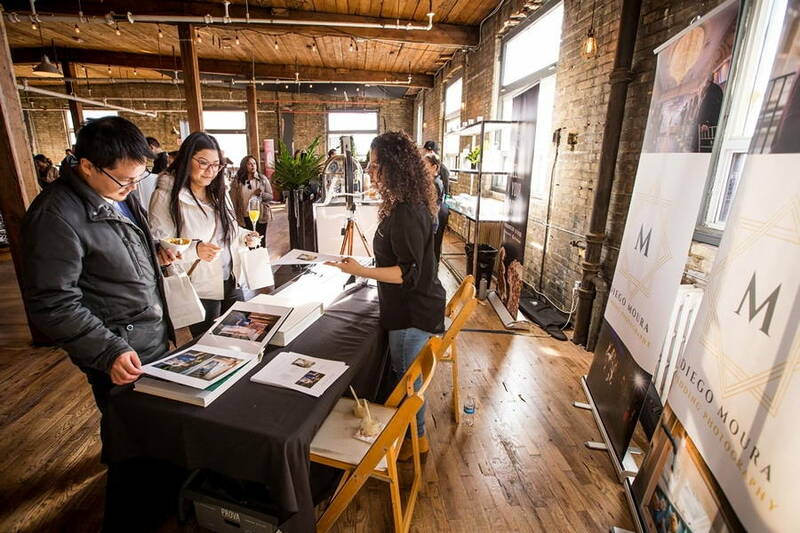 Diego Moura Photography captures all the festivities and fun of the day. 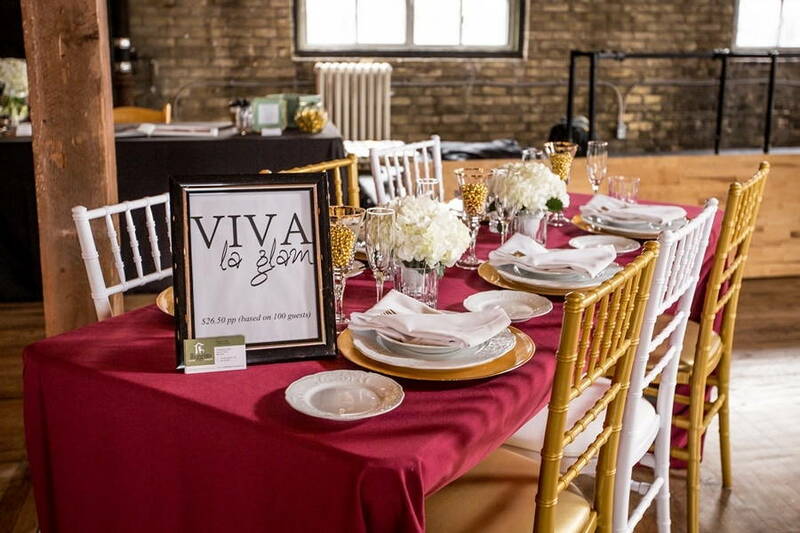 The team at Higgins Event Rentals featured multiple table decor options showcasing but a small sample of their beautiful rentals. 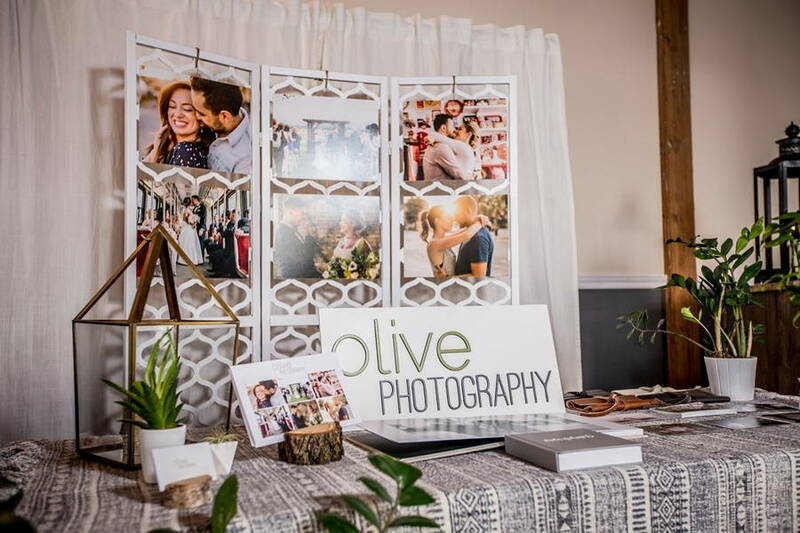 Another huge selling point of the space is that it offers couples a blank canvas that works with just about any style, making is easy to personalize to any taste. 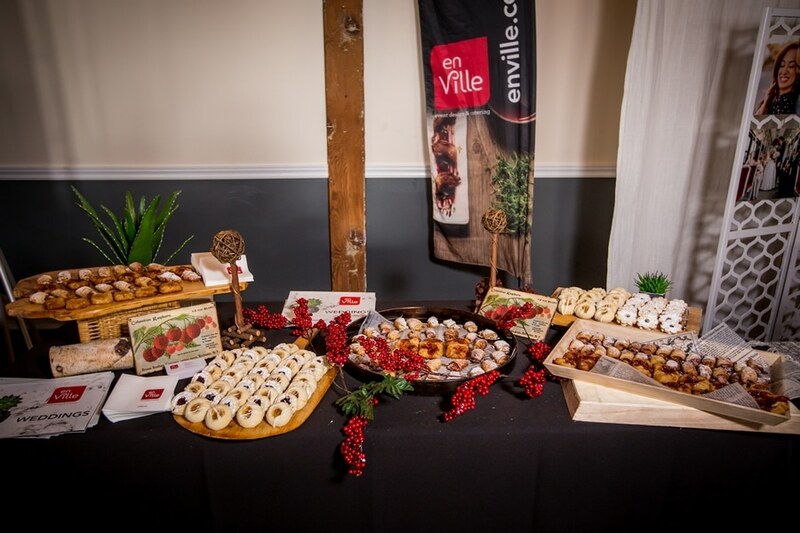 No one went hungry at this afternoon affair with delicious food samples offered by the venue’s preferred catering list. 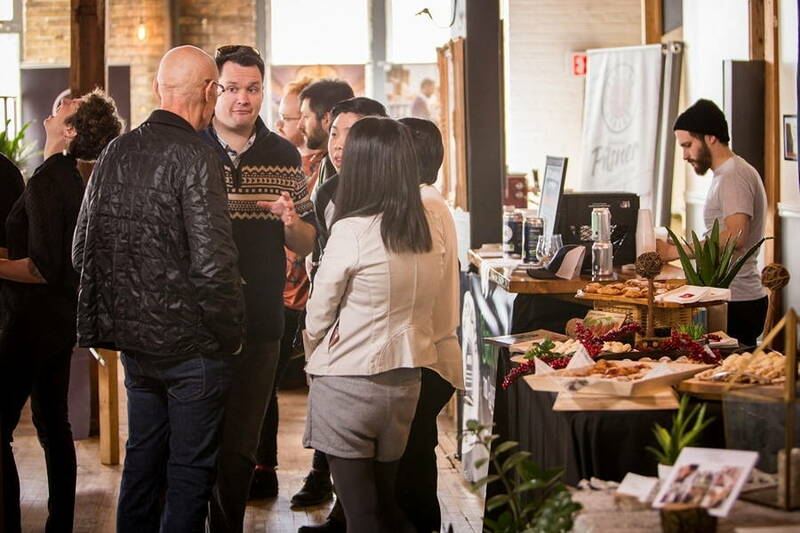 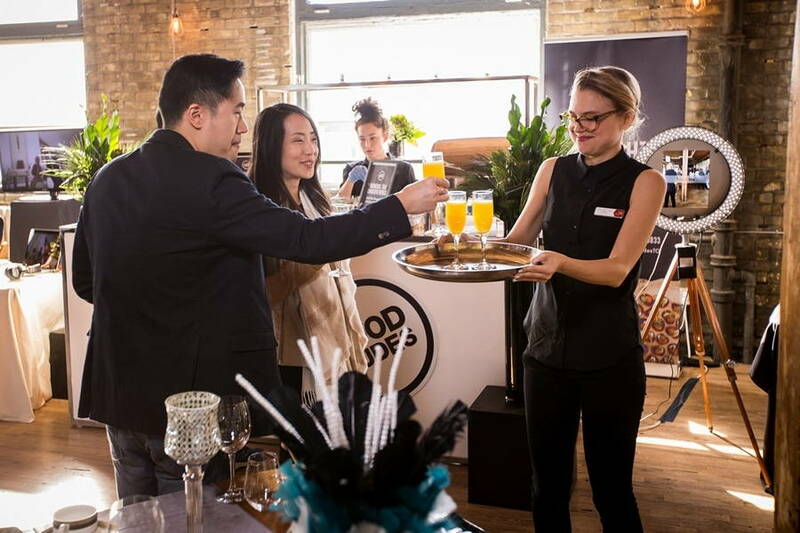 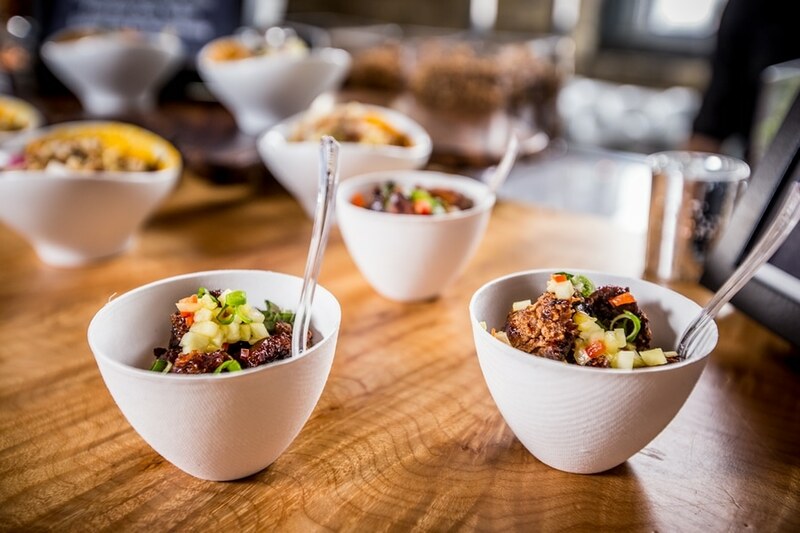 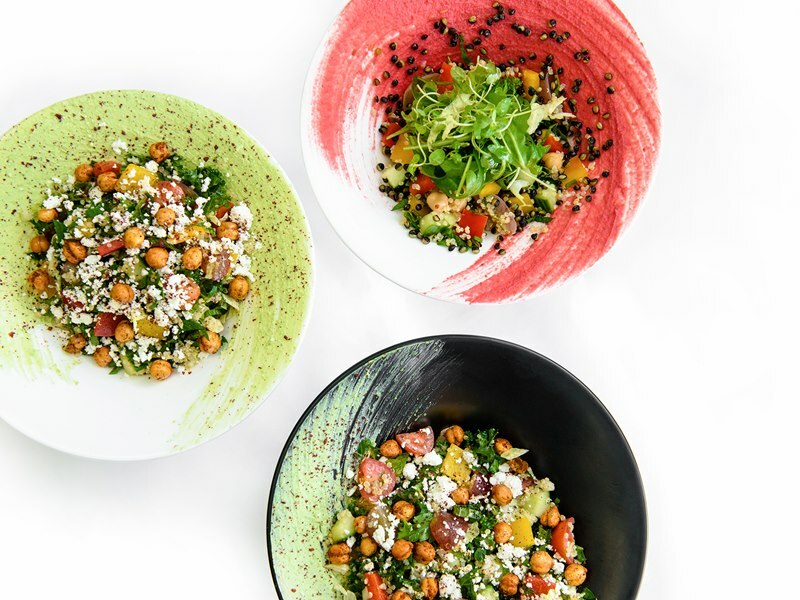 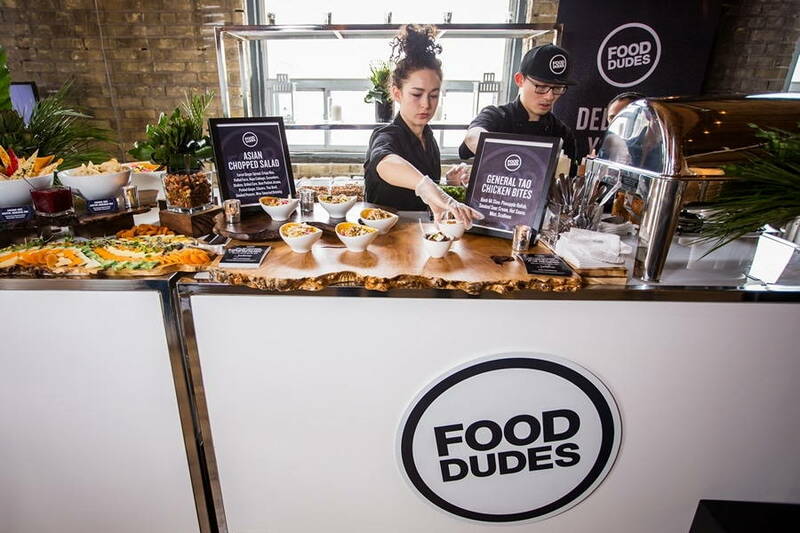 Starting with the savoury: Food Dudes brought an impressive lineup consisting of a stunning cheese tray, a delicious Asian chopped salad, and some I-bet-you-can’t-eat-just-five General Tao Chicken bites. 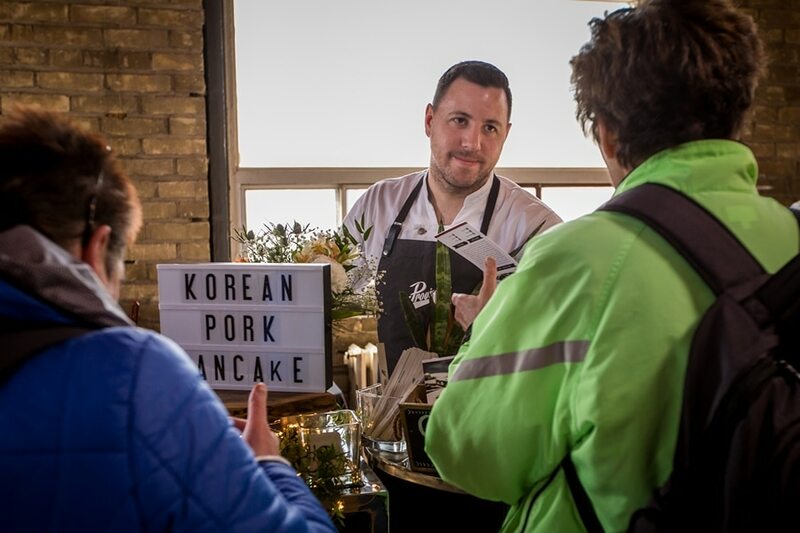 Chef Kevin Castonguay from ProvisionsTO delighted guests with their take on Korean Pork Pancakes: portably-perfect, melt-in-your-mouth pulled pork served on a petite, gently sweetened, warmed pancake. 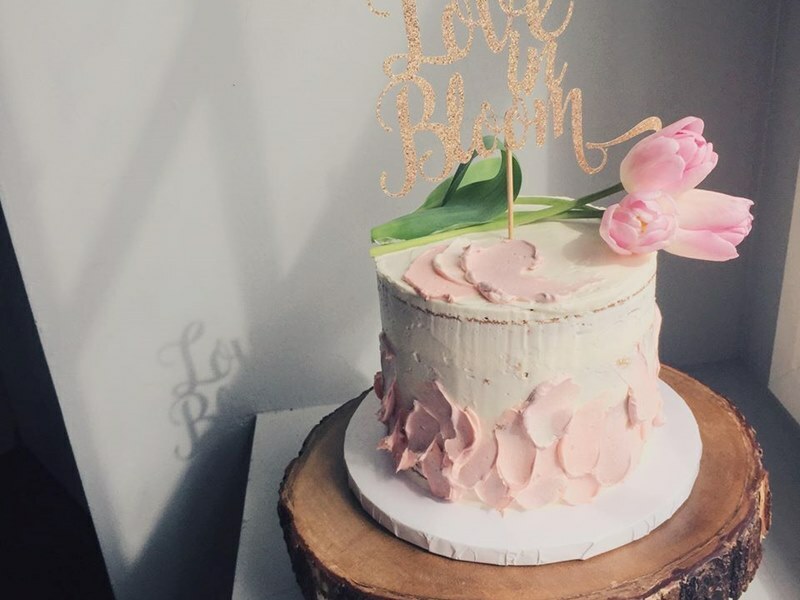 Absolutely delish! 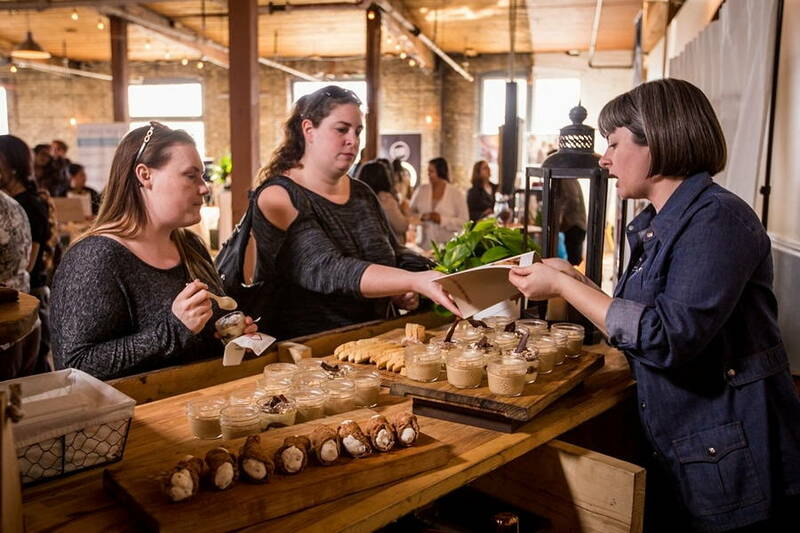 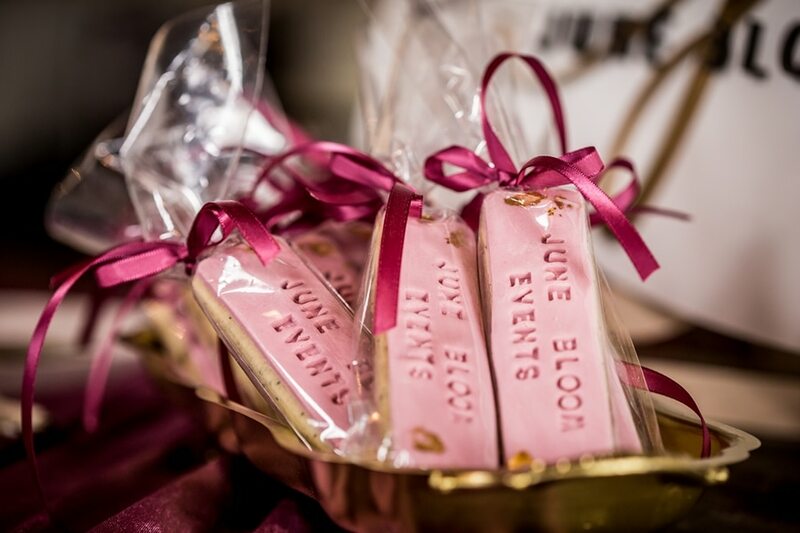 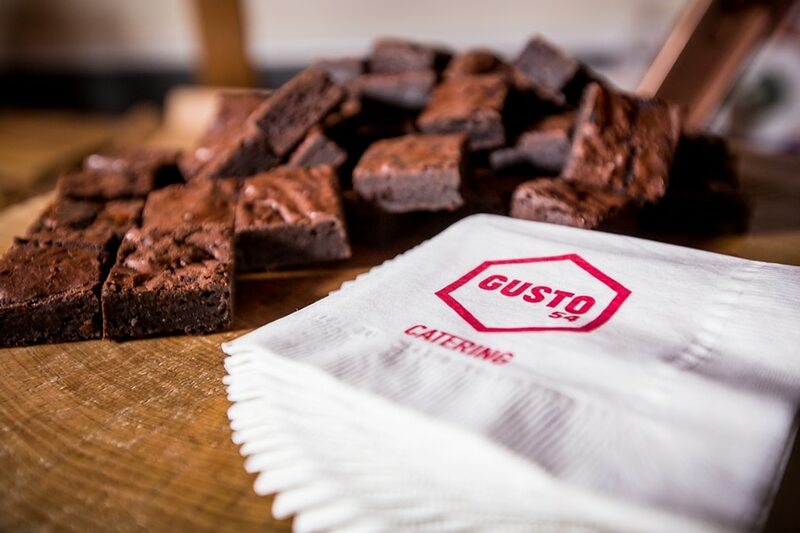 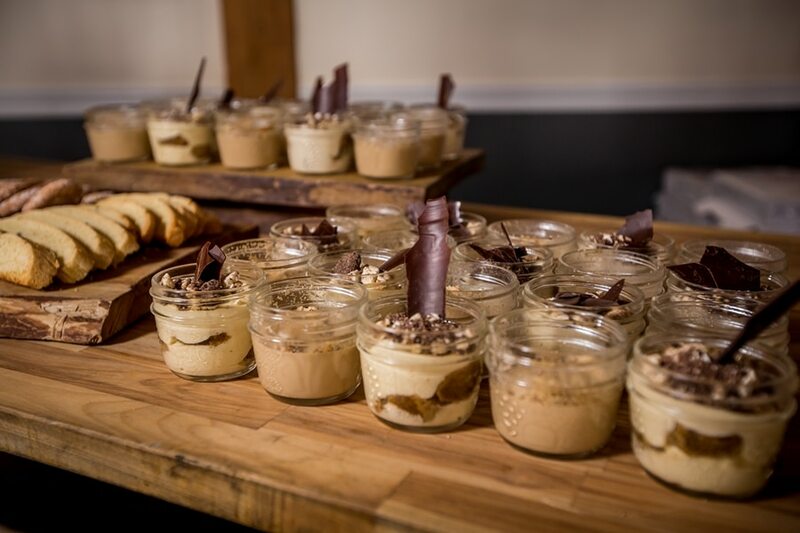 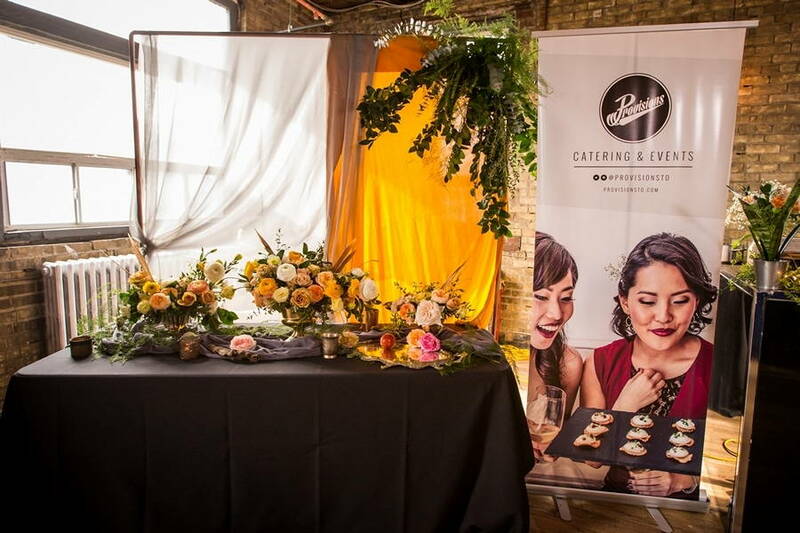 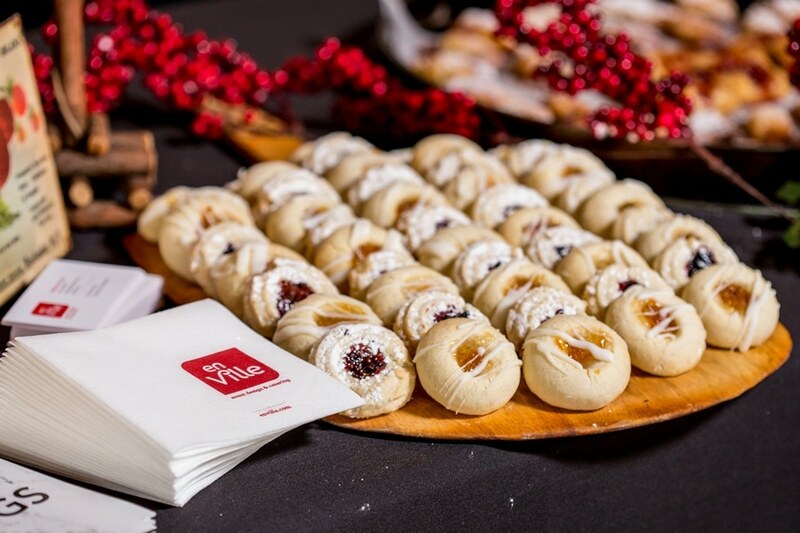 In the sweets department, Gusto 54 Catering brought a deluge of desserts complete with tiramisu, decadent brownies and biscotti while en Ville Event Design and Catering delighted guests with delicious house-baked pastries. 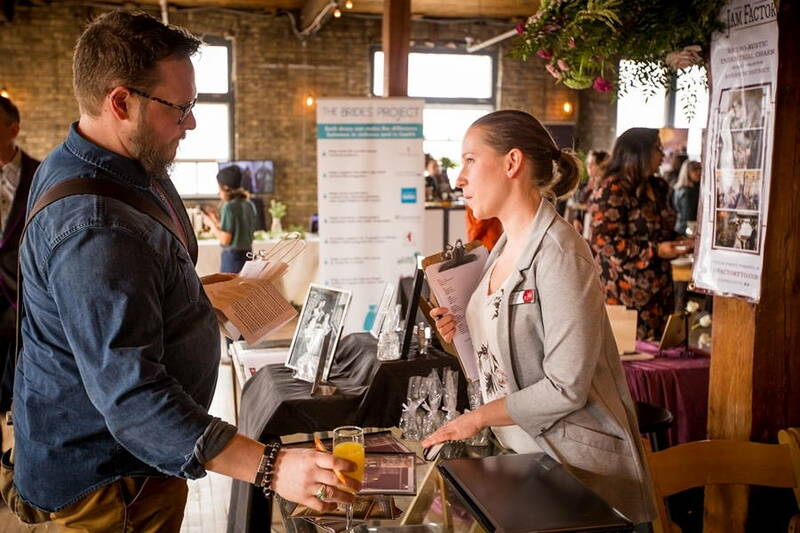 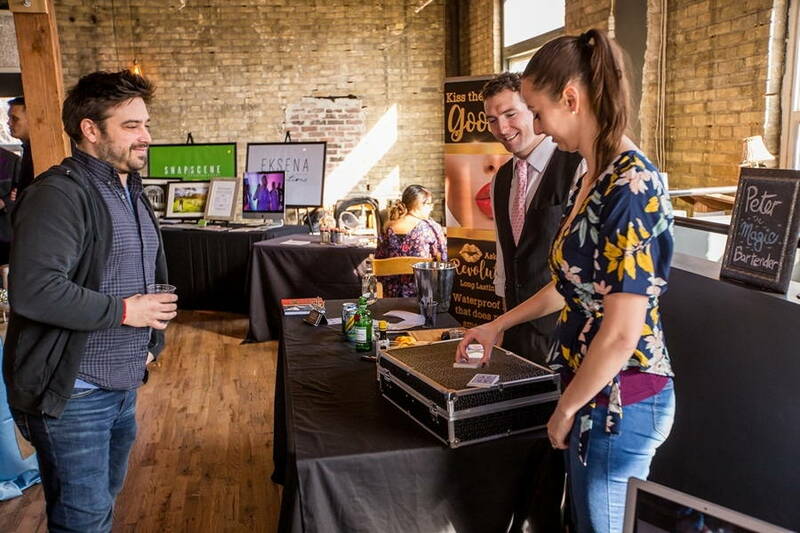 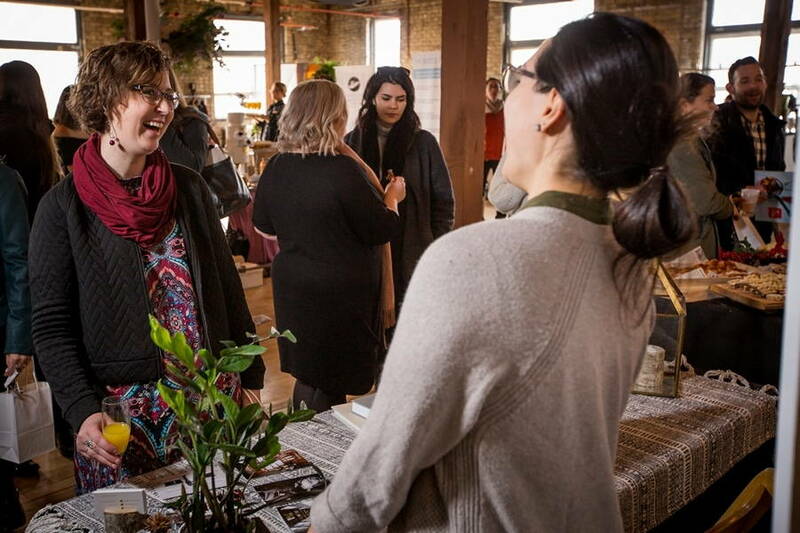 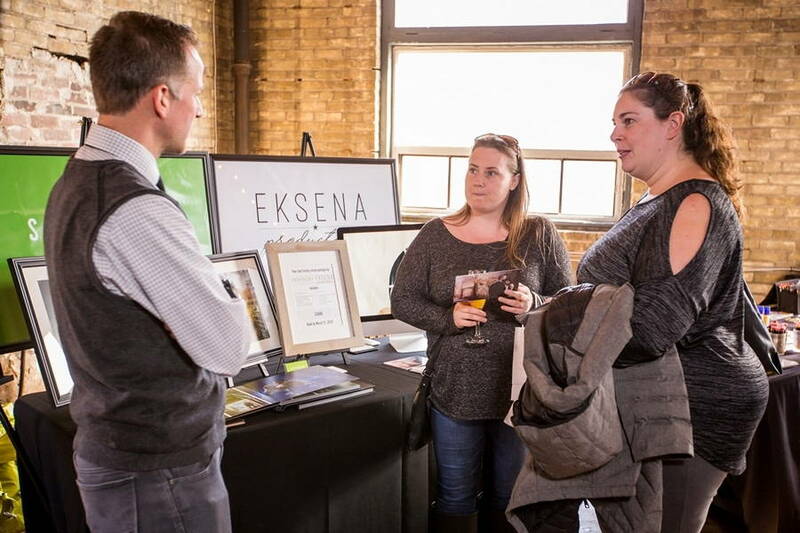 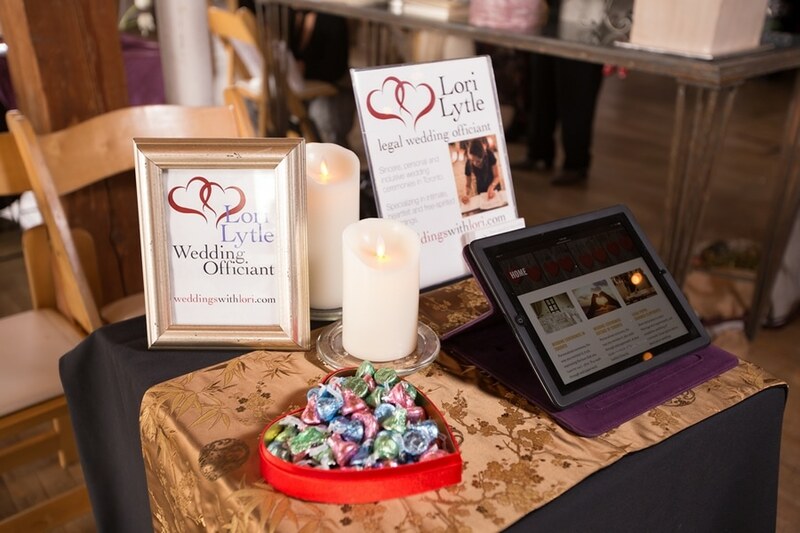 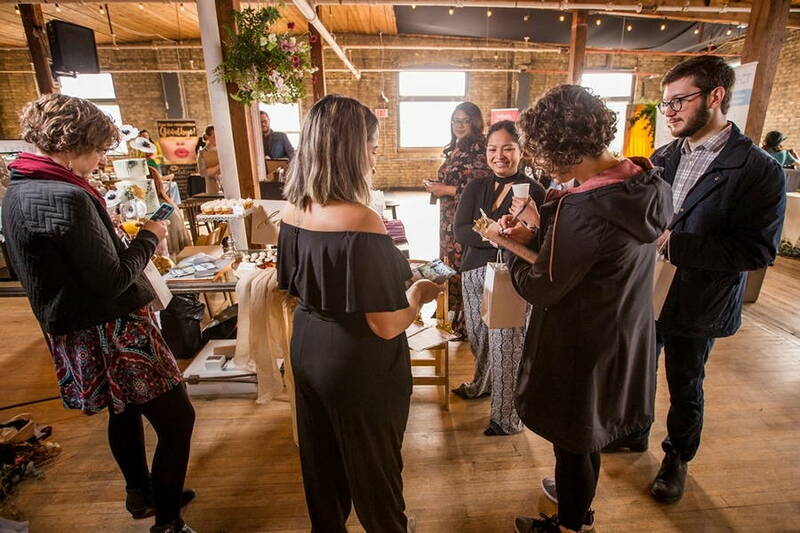 The event featured a good number of talented, local wedding artisans like Love in Bloom Cakes, June Bloom Events, and Floral Fetish (just to name a few) – all onsite to chat with the guests about their upcoming celebration. 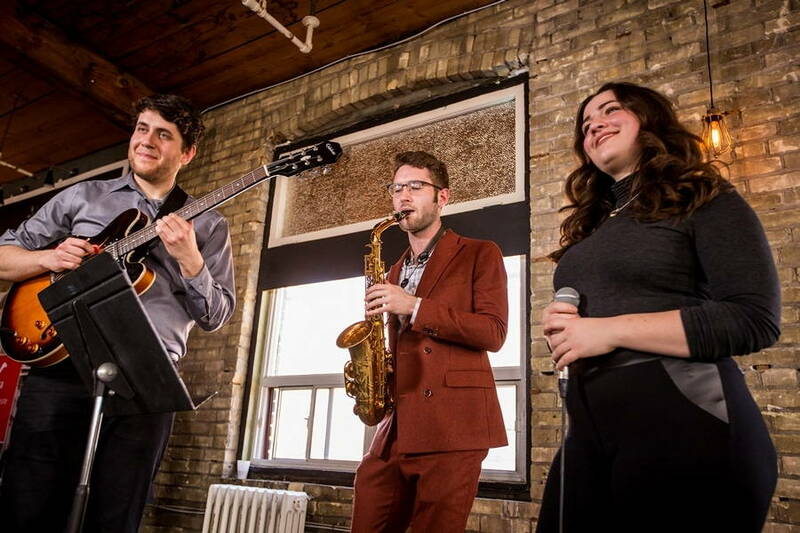 The team at Evolved Entertainment kept the crowd energized with live performances and music throughout the day. 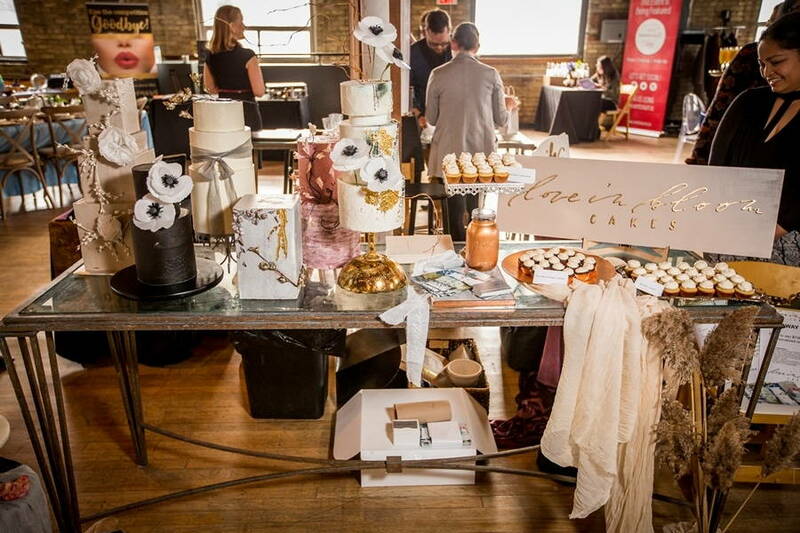 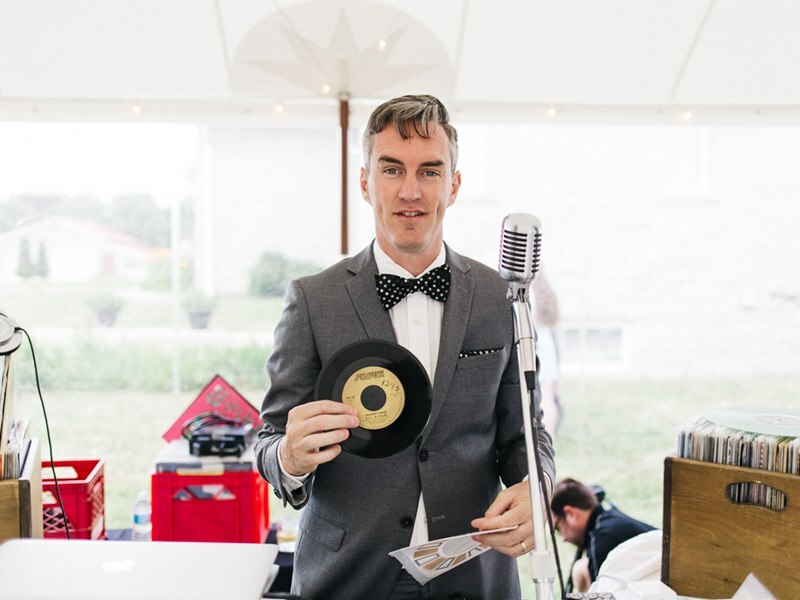 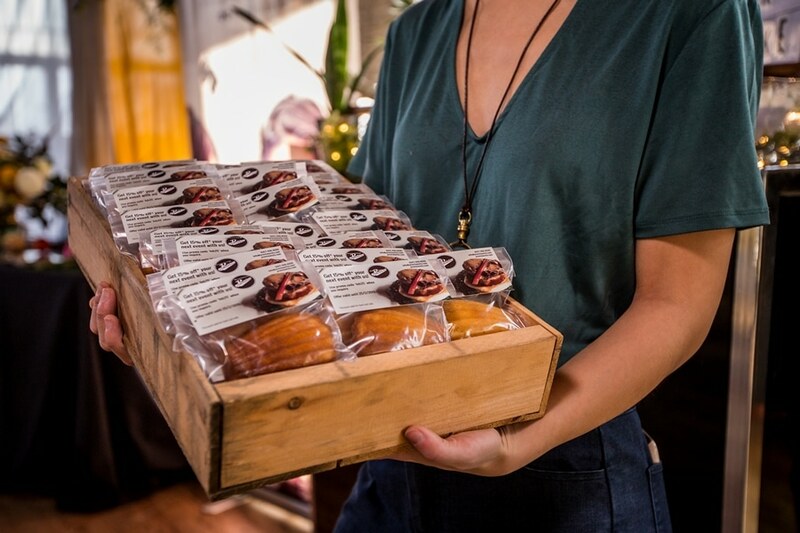 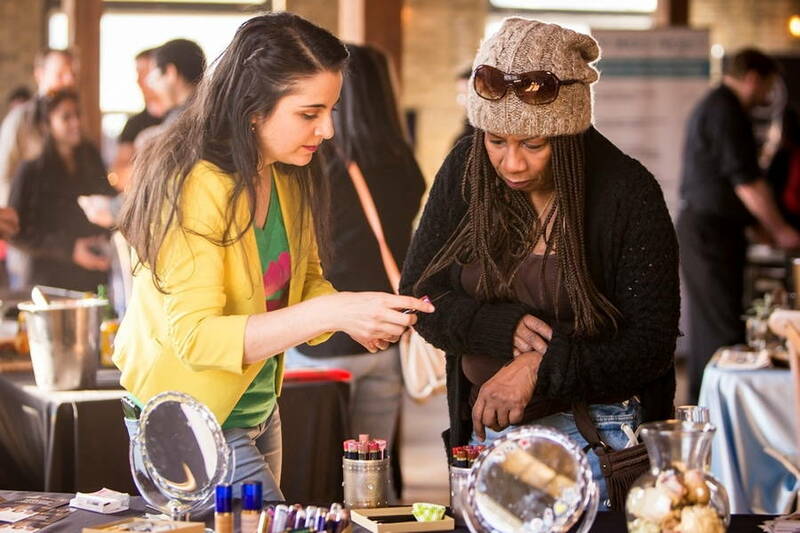 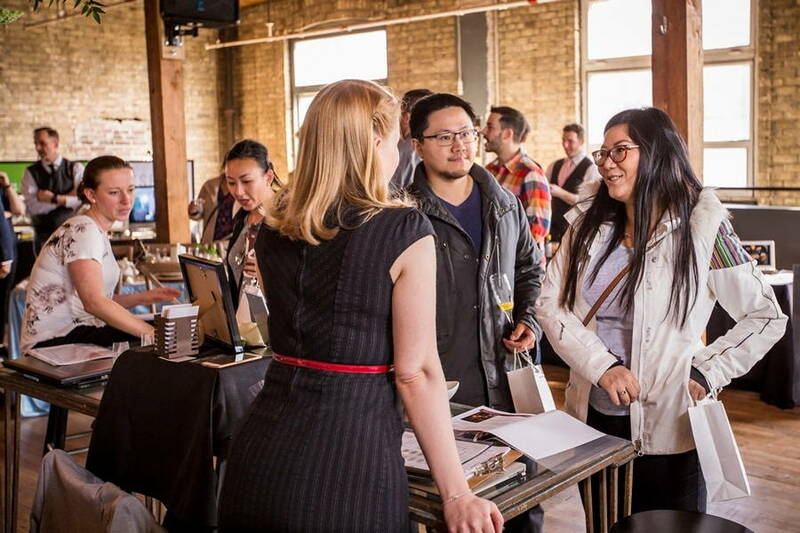 The Jam Factory delivered big time hosting an entertaining event complete with some of Toronto’s top vendors! 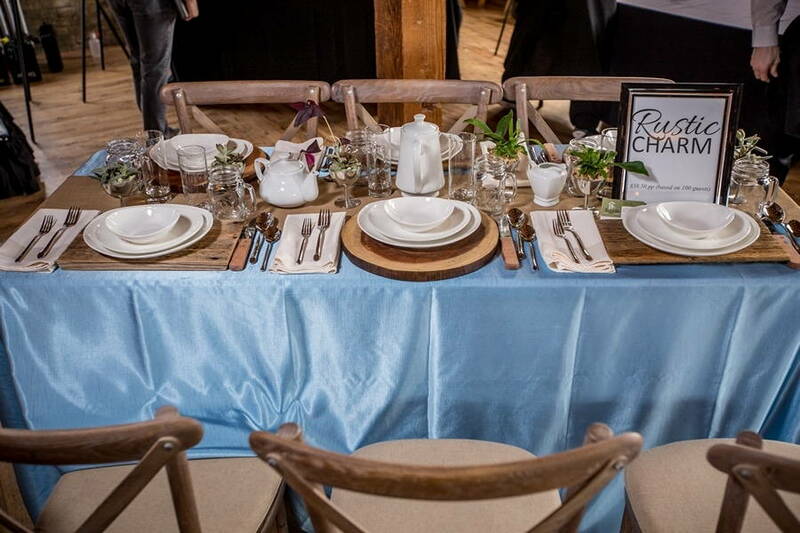 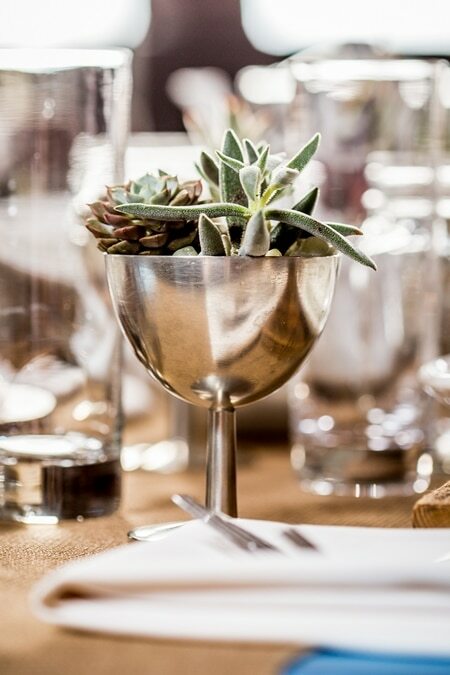 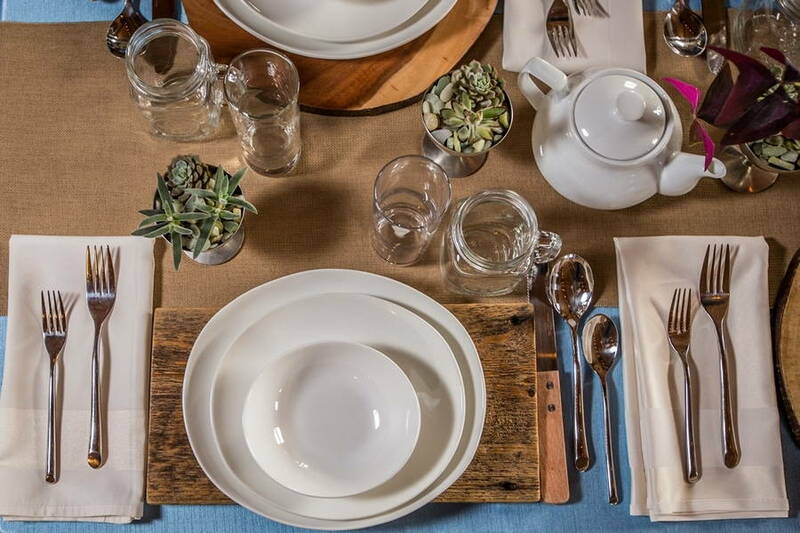 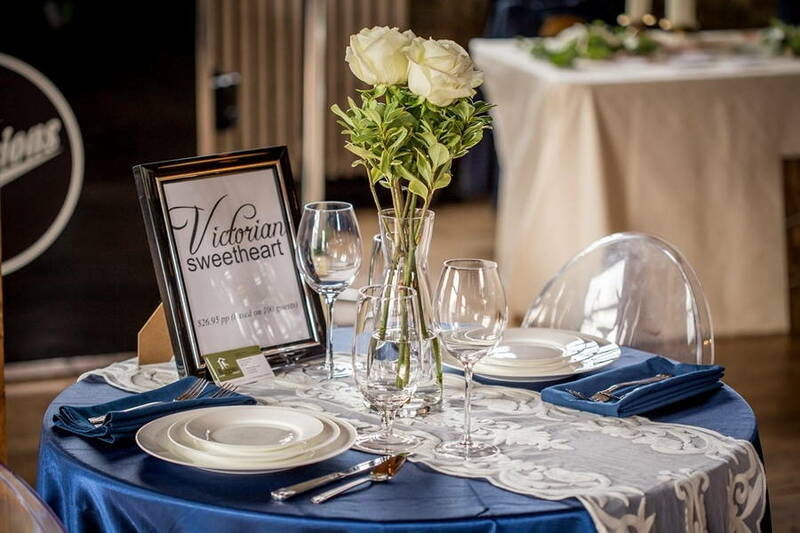 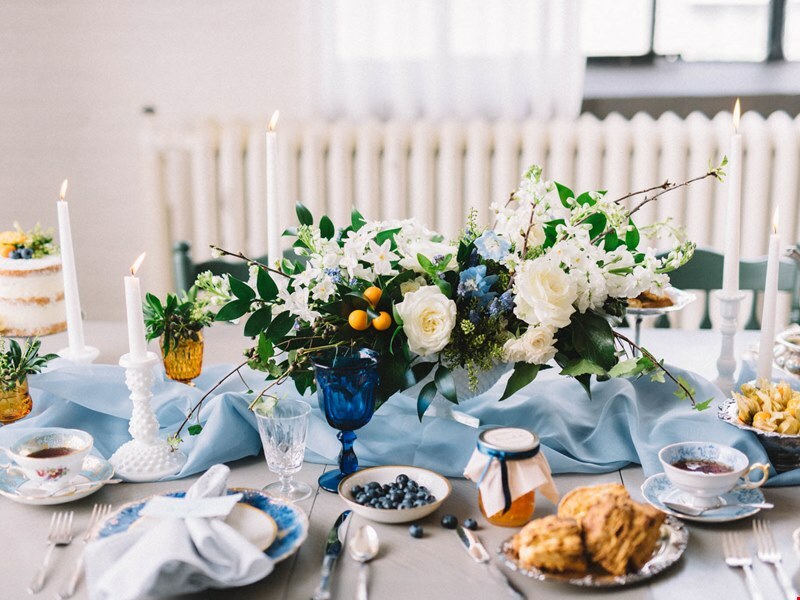 The retro-rustic space has that old world charm that so many couples are after, but with a modern twist – ideal for anyone looking to host a distinct and one of a kind event. 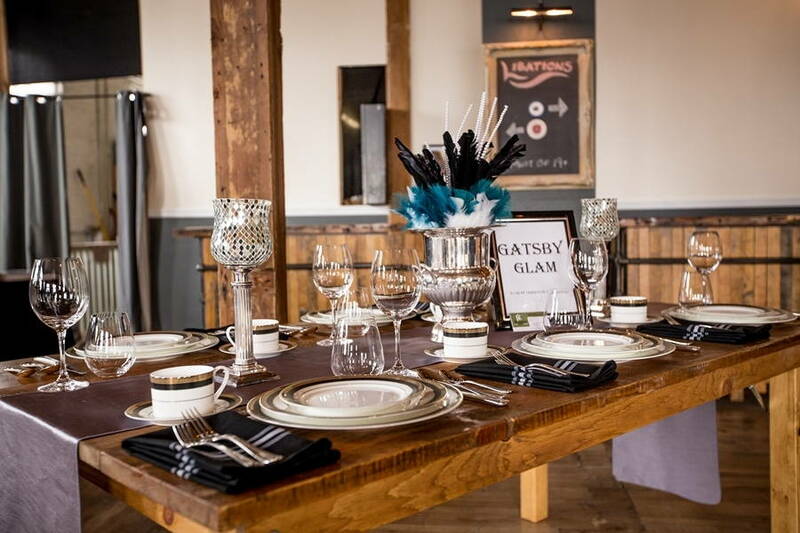 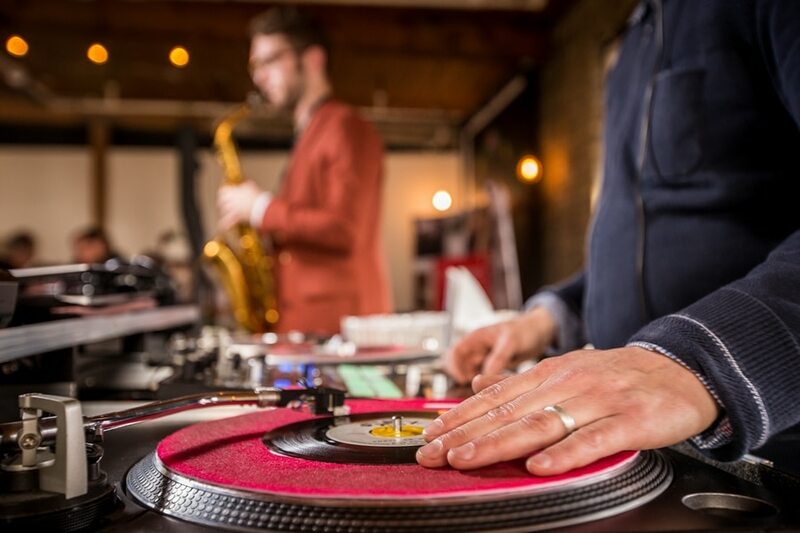 If you’re on the market for an intimate and historically unique event space, look no further than The Jam Factory!